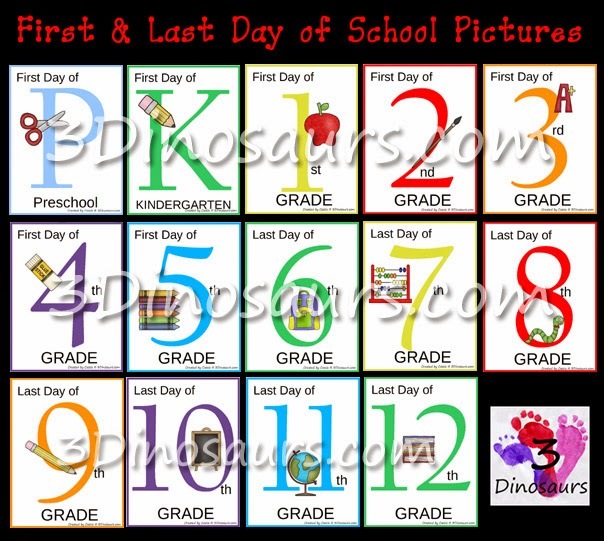 We have 2 weeks to the start of school! I have already started working in my classroom. The new school year is always so exciting and filled with promise. those momentous "First Day" or "Back to School" moments. 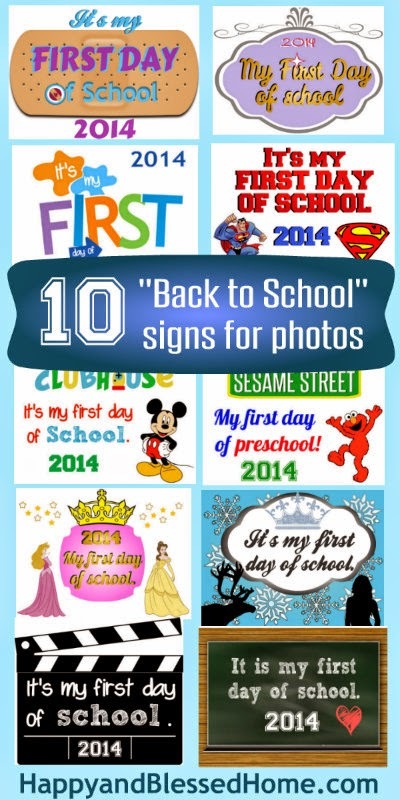 Perfect signs to help you capture the 1st Day of School. Click any of the links below for the full posts and printables. 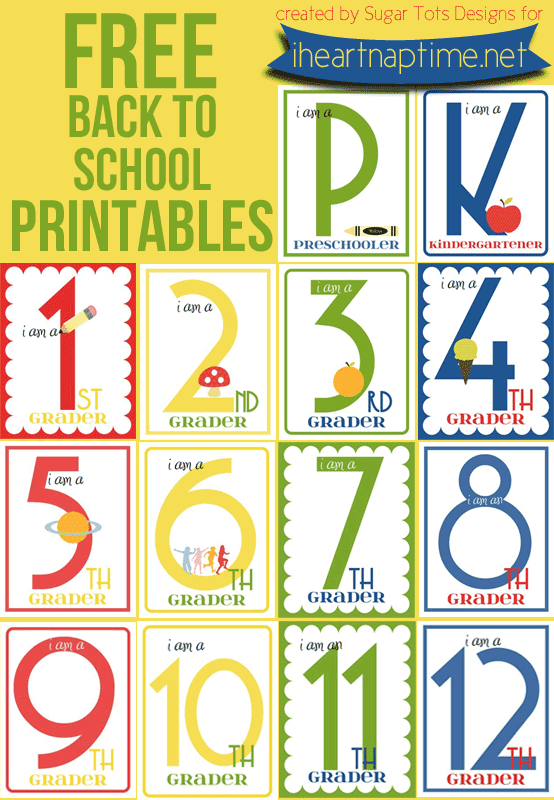 Looking for more ideas or printables? 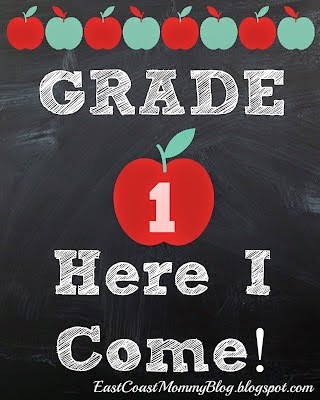 Do you have fun Back to School ideas to share? & our Sunday Showcase Pinterest board! Thanks for hosting. I am getting ready to go back to school, too. So stopping by here has given me some great ideas. 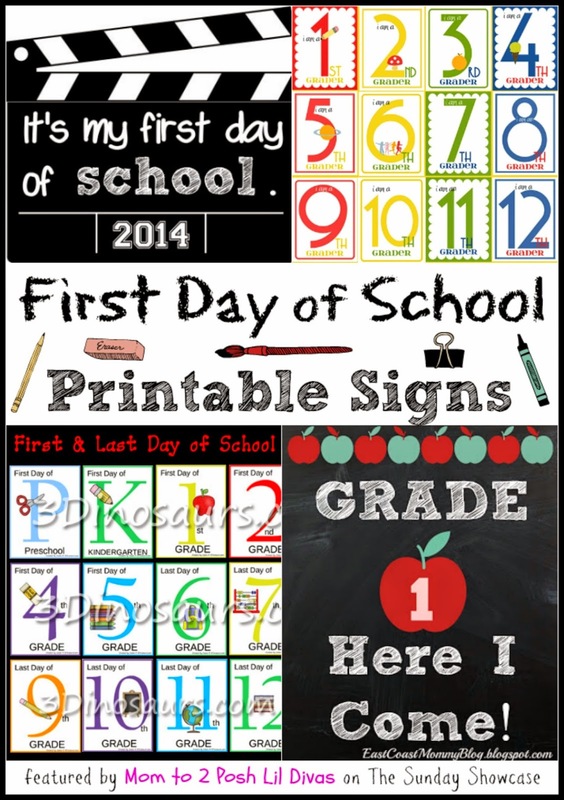 Thanks so much for featuring my Back to School Signs!